AJHS Board Chairman and CJH Board Treasurer Sidney Lapidus is not only a dedicated and generous philanthropist, but also a great collector of Anglo-American political treatises and essays and lawbooks on slavery, many of which he has donated to his alma mater, Princeton University, and to the Schomburg Center for Research in Black Culture, where he has established the Lapidus Center for the Analysis of Transatlantic Slavery. Sid has also collected and donated 36 books, other bound materials and ephemera to the American Jewish Historical Society—and 127 items to the Center for Jewish History—dealing with debates over the status and rights of Jews in a period in which Enlightenment ideals were clashing with old religious bias and stereotypes. 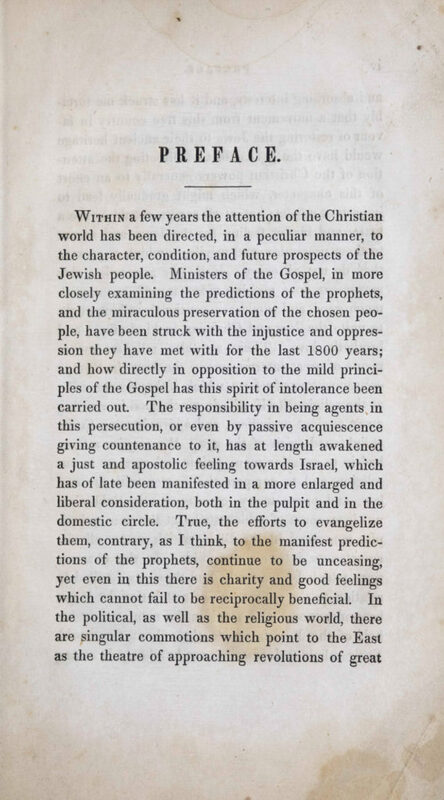 Today we are highlighting one item from the Lapidus Collection, M. M. Noah’s Discourse on the Restoration of the Jews, which Sid donated to AJHS. Noah (1785-1851) was one of the most interesting and prominent Jews in early 19th-century America. A diplomat and playwright, Noah is perhaps best known for his plans to create in 1825 a “city of refuge for Jews” on Grand Island in the Niagara River to be known as Ararat, after the mythic site where Noah’s ark is said to have landed after the flood. 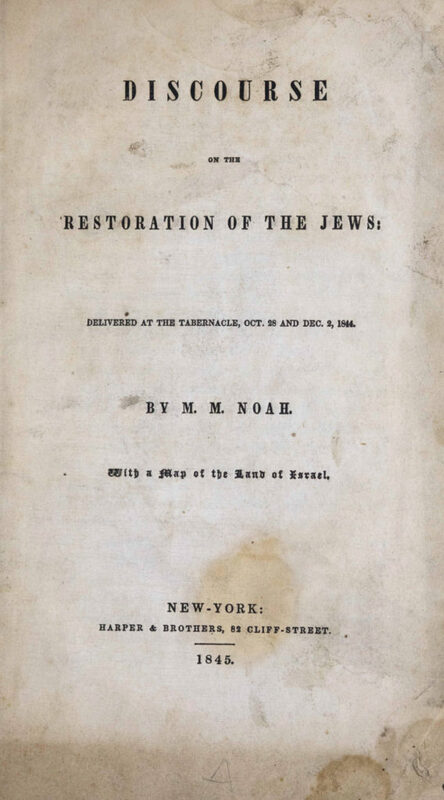 Noah’s treatise is a reminder that, notwithstanding the fact that leading American politicians such as Thomas Jefferson and John Adams had evinced sympathy for the Jews, tolerance toward them was neither universal nor guaranteed. It was, in Noah’s vision of America, a reasonable and not-too-far-off expectation. by David N. Myers, President and CEO of the Center for Jewish History. Portrait of a group of young men posing with oars on a dock at summer camp. Records of the Hebrew Orphan Asylum of the City of New York. American Jewish Historical Society. For more, visit the Center for Jewish History’s Flickr photostream.Click here to connect with the Center for Jewish History on Facebook.